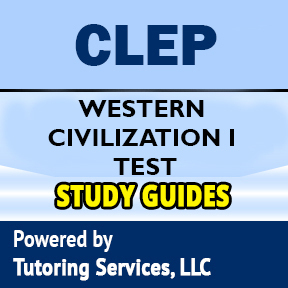 The Western Civilization I: Ancient Near East to 1648 examination covers material that is normally taught in the first semester of a two-semester course in Western Civilization. Inquiries manage the developments of Ancient Greece, Rome, and the Near East; the Middle Ages; the Renaissance and Reformation; and early current Europe. Competitors may be solicited to pick the right definition from an authentic term, select the verifiable figure whose political perspective is depicted, recognize the right relationship between two chronicled components, or distinguish the off base matching of a person with a recorded occasion. Gatherings of inquiries may oblige contender to decipher, assess, or relate the substance of an entry, a guide, or a photo to other data, or to break down and use the information contained in a chart or table. The examination contains more or less 120 questions to be replied in an hour and a half. Some of these are pretest inquiries that won't be scored. Whenever competitors spend on instructional exercises and giving individual data is notwithstanding the real testing time. This examination utilizes the ordered assignments b.c.e. (before common era) and c.e. (common era). The names relate to b.c. (before Christ) and a.d. (anno domini), which are utilized as a part of a few reading material. Questions on the Western Civilization I examination require candidates to demonstrate one or more of the following abilities. 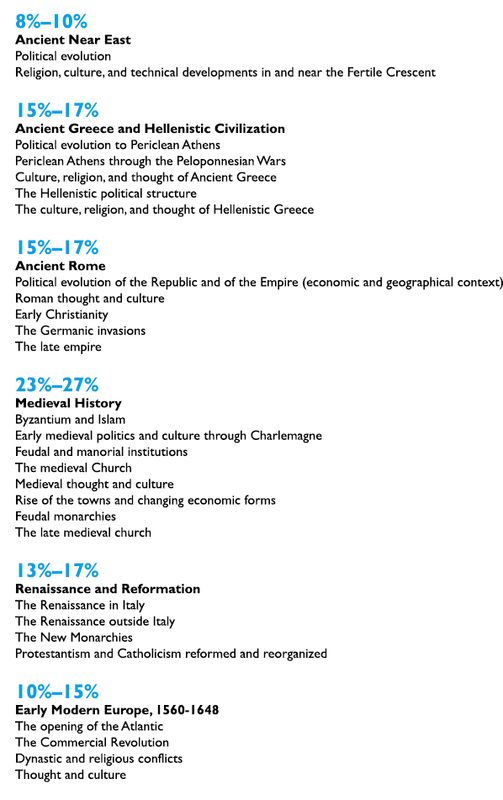 The subject matter of the Western Civilization I examination is drawn from the following topics. The percentages next to the main topics indicate the approximate percentage of exam questions on that topic. SELECT a.id, a.book_title, a.description, a.ad_image, a.image_tag, a.isbn, a.asking_price, a.book_condition, a.book_store_url, a.sg_type, a.url_path, c.subject_id, c.subject FROM tbl_used_book as a, tbl_booksubject_description as b, tbl_level_subjects as c WHERE a.exam_code = "clep-western-civilization-i-exam-eligibility" AND a.subject_id = b.subject_id AND a.subject_id = c.subject_id AND a.is_available = "1"